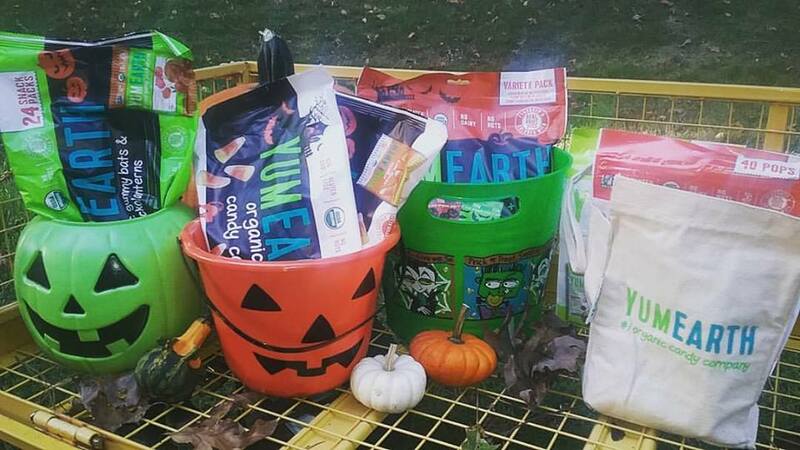 Whose ready for HALLOWEEN CANDY!? I know I am, I mean.. my kids and his classmates are! 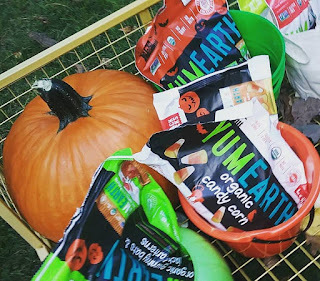 What I enjoy the most about YumEarth is the Candy always tastes fresh, always has a delicious flavor, and it's organic, dye free, preservative free, nut free, and gluten-free. 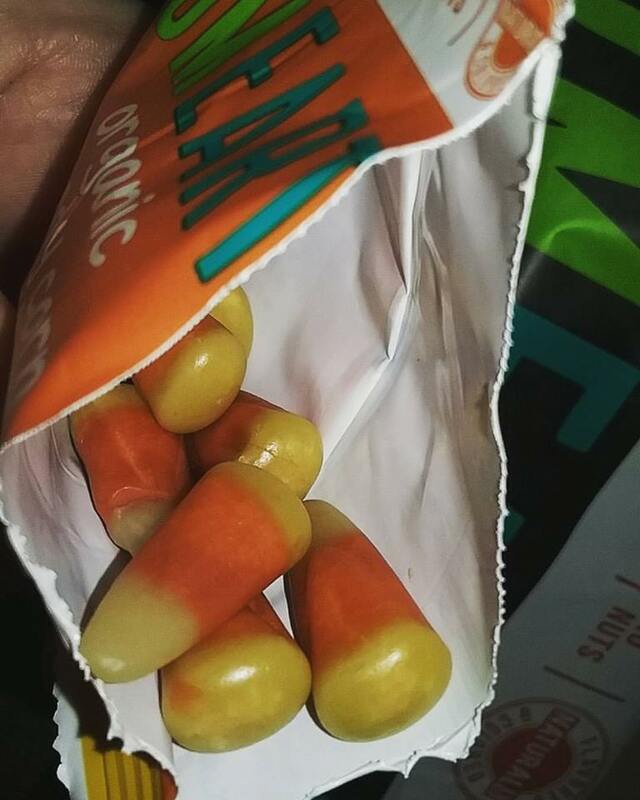 It is the ideal Teal Pumpkin Friendly Candy. It also tastes GOOD, I know a lot of people think "Oh it's that type of Candy?" Yeah, It's that type of Candy that is the BEST TYPE OF CANDY BEING ABLE TO TASTE THE NATURAL FLAVORS. It is also sweetened with Pure Cane Sugar. It is my families favorite candy, and I am very happy I get to share it with my Sons Class, and Our Trick-Or-Treaters this year. I see meme's all the time about Candy Cone, and how a lot don't like it. We love it here. 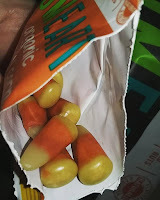 I was excited to find out YumEarth has Organic Candy Corn, and it's good. It's so good, I personally don't even want to share it, but I will - because I want others to experience it's awesome-ness. YumEarth even has Bats, and Pumpkin Shaped Fruit Snacks this year, Halloween Themed Lollipop Wrappers, and The Candy Corn. My favorite flavors they make are Mango Tango, Pineapple, and the Banana.